Department of Pharmaceutical Chemistry 1, H. N. B. Garhwal University (A Central University), Srinagar - 246174, Uttarakhand, India. Department of Chemistry and Pharmaceutical Chemistry 2, SBSPG Institute of Biomedical Sciences and Research, Balawala, Dehradun - 248161, Uttarakhand, India. ABSTRACT: This article reveals a detailed review of important constitutes of herbal drugs which will be useful to treat various types of cancer. Cancer is the second leading cause of death in both developed and developing countries as the number of mortalities is increasing day-by-day and year after year. Herbal drugs have contributed for the discovery of new anticancer drugs due to conventional cancer therapies cause’s serious side effects. Therefore, the fear of side effects patient prefer to use of herbal drugs or compound isolated from the medicinal plants for cancer treatment. An ideal phytochemical is one that possesses anti-tumor properties with minimal toxicity, side effects and has a defined mechanism of action. Several anticancer agents including taxol, vinblastine, vincristine, the camptothecin derivatives, topotecan, irinotecan, and etoposide derived from epipodophyllotoxin are in clinical use all over the world. A number of promising agents such as flavopiridol, roscovitine, combretastatin A-4, betulinic acid, silvestrol, apigenin, curcumin, fisetin, and crocetin are in preclinical or clinical development stage. INTRODUCTION: Plants have been used for the treatment of various diseases for thousands of years. Phyto-chemicals have proved to be an excellent reservoir of new medical formulations. Our ancestors have used these plants for thousands of years to alleviate their ailments. For a long period of time medicinal plants or their secondary metabolites have been directly or indirectly playing an important role in human society to combat diseases. Extracts of plants were used for the treatment of various diseases and this forms the basis of all the Indian systems of medicine. Cancer is a general term applied to a series of malignant diseases which may affect many parts of the body. It is characterized by a rapid and uncontrolled cell proliferation leading to abnormal growth or tumor. If the abnormal growth is not arrested, it may progress to the death of the patient. It is world’s second biggest killer after cardiovascular diseases. Cancer is life threatening and a dreadful disease 1. It is the leading cause of death in economically developed countries and the second leading cause of death in developing countries 2. Consumption of tobacco is the cause of about 22% of cancer deaths 3. Another 10% are due to obesity, poor diet, lack of physical activity and excessive drinking of alcohol. Other factors include certain infections, exposure to ionizing radiation and environmental pollution. Natural products play a major role in cancer prevention and treatment. Plants have been the chief source of natural compounds used for medicine 4. During long term folk practice, a large number of anticancer medicinal herbs and relevant prescriptions have been screened and used for treatment and prevention of various cancer types of cancers 5. There are certain bioactive compounds extracted from plants that possess anticancer activity. The National Cancer Institute collected about 3500 plants samples from 20 countries and has screened around 114000 extracts for anticancer activity 6. Initially, cancer drugs were discovered through large scale testing of synthetic chemicals and natural products against rapidly proliferating animal tumors systems. Many clinical trials are ongoing on the use of nutritional supplements and modified diets to prevent cancer 7. Dietary plants such as fruits, vegetables, spices, cereals and edible tubers/roots- which also contain significant level of bioactive natural compounds, may provide human health benefits beyond basic nutrition to reduce risk of many chronic diseases including cancer 5, 8. Phyto-chemicals are defined as bioactive nonessential nutrients derived from plants. It is estimated that more than 5000 individual phyto-chemicals have been identified in fruits, vegetables, grains and other plants which have mainly been classified as phenolic, carotenoids, vitamins, alkaloids, nitrogen containing compounds and organosulphur compounds. The Garhwal Himalayas has been a center of spiritual knowledge, religiosity and biodiversity from ancient times. The region is rich in its flora and fauna due to its distinct meteorological, geographic, geological and ecological patterns. More than 8000 species of flowering plants grow in the Himalayas, with nearly 4000 species identified from the Garhwal Himalayan Region along with great diversity. Local people of Uttarakhand are partially or completely dependent on forest resources for medicines, food and fuel. Following section provide details of various phytoconstituents having anti-cancer property. The review displayed in Table 1 describes the chemistry, occurrence and structure of certain bioactive constituents from medicinal herbs that possess anticancer activity. 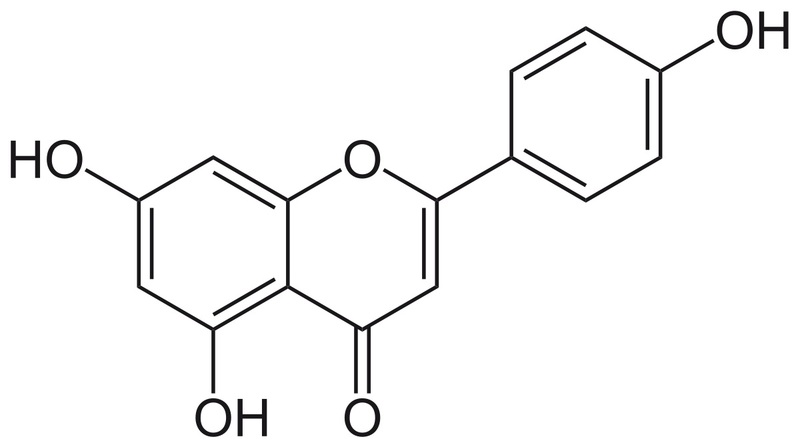 Apigenin: Apigeninis a member of the flavone subclass of flavonoids present in fruits and vegetables and is considered to have various biological activities such as being anti-inflammatory, anticancer and it also has free-radical scavenging properties 9. Apart from having anticancer activity it may also stimulate adult neurogenesis. Curcumin: Curcumin is a diarylheptanoid belonging to the group of curcuminoids, which are natural phenols responsible for turmeric’s yellow color. It is a tautomeric compound existing in enolic form in organic solvents, such as a keto form in water 14. 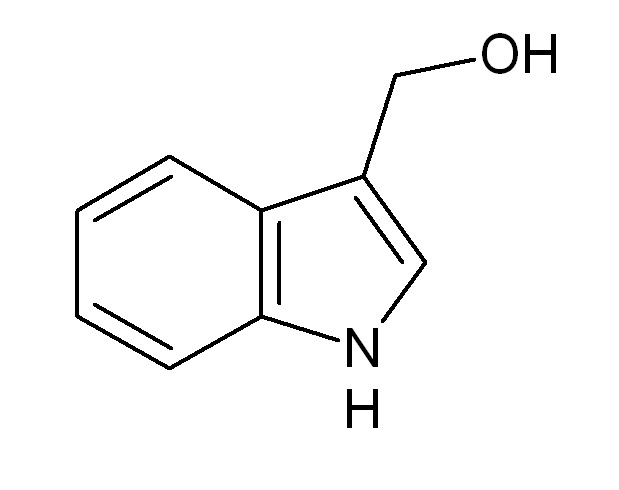 Curcumin was first isolated in 1815 and its chemical structure was determined by Roughley and Whiting in 1973. 15 Curcumin has effect on gastrointestinal system, anemia, diabetes, hepatitis, skin diseases, inflammation, urinary diseases, cough, liver disorders, carcinogenesis, etc. Mechanism of Action: Curcumin acts as a potent anticarcinogenic compound. Induction of apoptosis plays an important role in its anticarcinogenic effect. It induces apoptosis and inhibits cell-cycle progression, both of which are instrumental in preventing carcinogenic cell growth in rat aortic smooth muscle cells 16. Curcumin induces apoptotic cell death by DNA- damage in human cancer cell lines, TK-10, MCF-7 and UACC-62 by acting as topoisomerase II poison 17. However, curcumin affects different cell lines differently, whereas leukemia, breast, colon, hepatocellular and ovarian carcinoma cells undergo apoptosis in the presence of curcumin, lung, prostate, kidney, cervix and CNS malignancies and melanoma cells show resistance to cytotoxic effect of curcumin 18. Curcumin also inhibits proliferation of rat thymocytes. These strongly imply that cell growth and cell death share a common pathway at some point and that curcumin affects a common step, presumably involving modulation of AP-1 transcription factor 19. 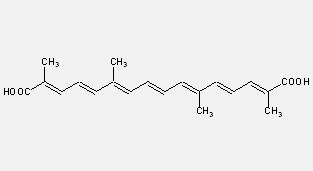 Indole- 3- Carbinol (I3C): Indole-3-Carbinol is produced by members of the family Cruceferae and particularly members of the genus Brassica. Glucoinolate glucobrassicin breakdowns to produce Indole-3-Carbinol 20. Mechanism of Action: I3C has been shown to suppress the proliferation of a wide variety of cells, including breast cancer cell 21, colon cancer cells 22, prostate cancer cells 23 and endometrial cancer cells. DIM (3, 3’-Diindolymethane derived from the digestion of I3C) inhibits DNA synthesis and cell proliferation in both ER positive (MCF-7) and ER-deficient (MDA-MB-231) human breast cells 21. Bonnesen and his colleagues, found that I3C can both stimulate apoptosis and confer protection against DNA damage in human colon cell lines 22. The naturally occurring DIM, ascorbigen (ASG), I3C and ICZ stimulate apoptosis in human colon adenocarcinoma LS-174 and CaCO2 cells. These phytochemicals may prevent colon tumorigenesis by both stimulating apoptosis and enhancing intracellular defenses against genotoxic agents. Chinni’s laboratory demonstrated G1 cell cycle arrest in prostate cancer cells by I3C, which correlated with the upregulation of p21WAF1 and p27kip1 CDK inhibitors, followed by their association with cyclin D1 and E, and the down-regulation of CDK6 protein kinase level and activity 23. Numerous studies have indicated that I3C also has a strong hepatoprotective activity against various carcinogens. It has incredible potential both for prevention and treatment of cancer 24. 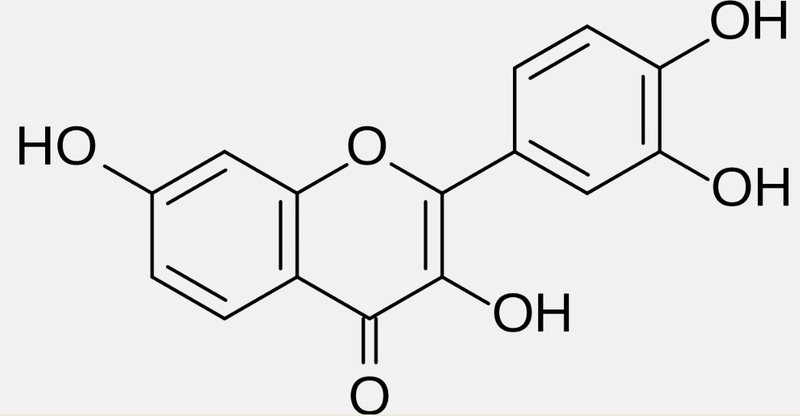 Fisetin: Fisetin is a plant polyphenol from the flavonoid group. It can be found mainly in fruits, vegetables, nuts and wine and displays a variety of biological effects including antioxidant and anti-inflammatory 25. It serves coloring agent in fruits and vegetables like strawberries, apple, persimmons, onion and cucumber. Mechanism of Action: Fisetin has been shown to exhibit anticancer activities in various types of tumor cells, with the capability to induce cell cycle arrest and apoptosis 26, 27. The cytotoxic and apoptotic effects induced by fisetin in human breast cancer MCF-7 and MDA-MB-231 cells exhibit a robust anticancer activity in caspase-3 deficient MCF-7 cells and fisetin induced apoptosis did not display typical features of apoptosis such as DNA fragmentation and PS externalization but instead triggered plasma membrane rupture, mitochondrial depolarization, activation of caspase-7, -8 and -9 and PARP cleavage in MCF-7 cells, which can be intensively blocked by caspase inhibition 28. Genistein: Genisteinis an isoflavone that is described as an angiogenesis inhibitor. It was first isolated in 1899. Genistein occurs as a glycoside (genistin) in the plant family Leguminose which includes soybean. Mechanism of Action: Genistein can arrest tumor growth, proliferation, cell cycle, invasion, metastasis and angiogenesis. Genistein at low concentration stimulates growth and at high concentration inhibits growth of estrogen-positive MCF-7 and estrogen-negative MDA -MB -438 breast cancer cells 29. A number of studies suggest that genistein induced cell cycle arrest may involve up regulation of P21WAF1 and consequent down regulation of cyclin B1 30. Genistein can decrease the vessel density and can cause the release of vascular endothelial growth factor (VEGF) and TGF-β1. 31 Genistein as a food supplement can be given to women from pre-pubertal stage of life so that it would be beneficial in arresting tumor initiation. Genistein may avoid the risk of developing cancer in both men and women who have risk factor for gender-based cancers, such as familial expression of BRCA 1 and 2. Crocetin: Crocetin is a natural apocarotenoid dicarboxylic acid that is found in saffron (derived from the dried stigma of the Crocus sativa flower). Crocetin exhibits antio-xidant 32, antihyperlipidemic, cardio protective 33 and neuroprotective effects 34. Crocetin causes cell growth inhibition and induces cell death in several malignant cells including pancreatic cancer cells and breast cancer cells. Mechanism of Action: Crocetin has two distinct certified anticancer functions. First one is to inhibit cell proliferation at an initial stage by inducing the cell cycle arrest indifferent human cancer cell type via a p53-dependent and -independent p21 mediated mechanisms. The second function is to kill the cancer cells via apoptosis 35. It has been confirmed that HepG2 cells treated with the saffron extract contains crocin and safranal increased cleavage of caspase-3, as well as DNA damage and cell cycle arrest 36. Also, crocetin decreases CDK2 and cyclins levels in the cells that are sensitive to crocetin, which contributes to increased p21 accumulation. Crocetin activates p21 through a p53- independent mechanism which could be one of the main mechanisms of antitumor 37. Aloin: Aloinis also known as barbaloin, is a bitter, yellow-brown colored compound found in Aloe species. The compound is present as the aloe latex that exudes from cells adjacent to the vascular bundles, found under the rind of the leaf. It is used as a stimulant-laxative, treating constipation by inducing bowel movements. Aloin also prevents the colon from re-absorbing water from the gastrointestinal tract, which leads to softer stools. Aloin also has an anticancer effect. Mechanism of Action: Aloin showed a pronounced anti-proliferative effect on human uterine carcinoma HeLaS3 cells 38 at physiological concentration, caused cell arrest in the S phase and markedly increased HeLa S3 cell apoptosis. The cytotoxic activity of aloin from Aloe plant against two human breast cancer cell lines, without (MCF-7) and with (SKBR-3) ervB-2-topolla coampli-fication, was reported 39. MCF-7 cell line was more sensitive to aloin than SKBR-3, as demonstrated by the MTT and colongenic assays. Aloin at higher concentration reduced the proportion of cells undergoing mitosis by induction of apoptosis, inhibition topoisomerase type IIA expression, and down regulated cyclin B1 protein expression in the MCF-7 cell line, whereas erbB-2 protein expression was not affected 40. Licochalcone A: Licochalcone A is a chalconoid, a type of natural estrogenic flavonoid. It can be isolated from root of Glycyrahiza glabra or Glycyrrhiza inflate. Roots of Glycyrahiza glabra is known as liquorice, it has ant parasitic, anti-bacterial and antitumor properties 41, 42, 43. However, few studies have shown that LCA has a significant anticancer activity in various malignant human cell lines 44. Mechanism of Action: LCA is a potent antitumor promoting agent, which has cancer chemo preventive activity by inducing the apoptosis of cancer cell 45. LCA can reduce the cell viability, enhance mitochondrial ROS, induce oxidative stress, mitochondrial dysfunction, apoptotic cascade activation and ER stress in T24 cells 46. Hence, indicates that ROS plays a prominent role in LCA-induced T24 cell apoptosis through mitochondria-dependent and ER stress activated apoptotic signals. LCA can trigger oxidative stress by mitochondrial ROS to induce T24 cell apoptosis through mitochondrial dysfunction, leading to the cleavage of PARP and activation of the caspase cascade-mediated signaling pathway 46. CONCLUSION: Herbal drugs have been contri-buted to cure different ailments including cancer for thousands of years herbal extracts and their bioactive compounds are play a significant role for prevention cancer activity and many compounds have to be screened for their valuable information, but a large number of medicinal plants having anticancer properties are available in nature and they are not fully phyto-chemically investigated. This review has given some of the herbal bioactive constituents possessing anticancer activity for various types of cancer with mechanism of action. The review can help others researchers to explore herbs for further evaluation and its use in various other disease and toxicity studies along with pre-clinical, clinical trials. It should be of particular interest to explore the anticancer potential of the herbal drugs for isolation and characterization of the active anticancer principles so that better, safer and cost-effective drugs can be developed for treating cancer. ACKNOWLEDGEMENT: We acknowledge the support of Department of Pharmaceutical Sciences (HNB Garhwal University, Srinagar Garhwal, Uttarakhand) and central library (HNB Garhwal University, Srinagar Garhwal Uttarakhand). Sultana S, Asif HM, Nazar HM, Akhtar N, Rehman JU and Rehman RU: Medicinal plants combating against cancer- a green anticancer approach. (Review). Asian Pac cancer Prev 2014; 15(11): 4385-4394. Jemal A, Bray F, Center MM, Ferlay J, Ward E and Forman D:Global cancer statistics, CA: A Cancer Journal for Clinicians 2011; 61(2): 69-90. Farnsworth NR, Akerele O, Bivgel AS, Soejanto DD and Guo Z: Medicinal plant in Therapy: Bull World Health Organization 1985: 63: 965-981. Cancer Fact sheet Nº297º: World Health Organization February 2014. 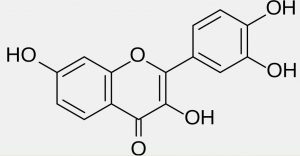 Huang WY, Cai YZ and Zhang Y: Natural Phenolic compounds from medicinal herbs and dietary plants: Potential use for cancer prevention: Nutrition and Cancer 2010; 62(1): 1-20. Cia YZ, Luo Q, Sun M and Croke H: Antioxidant activity and phenolic compounds of 112 traditional Chinese medicinal plants associated with anticancer. Life Science 2004; 74: 2157-2184. Greenwald P: Chemoprevention of cancer. Sci Am 1996; 275: 96-99. Liu RH and Am J: Health benefits of fruits & vegetables are from additive and synergistic combination of phytochemicals. Clin Nutr 2003; 78: 5175-5205. Singh JP, Selvendrian K, Banu SM, Padmavathi R and Salethisekaran D: Protective role of Apigenin on the status of lipid peroxidation and antioxidant defense against heptocarcinogenesis in Wister albino rats. Phytomedicine 2014; 11: 309-314. Yin F, Giuliano AE, Law RE and Van Harle AJ: Apigenin inhibit growth and induces G21M arrest by modulating cyclin-CDK regulators and ERK MAP kinase activation in breast carcinoma cells. Anticancer Res 2011; 21: 413-420. Patel D, Shukla S and Gupta S: Apigenin and cancer chemoprevention: progress, potential and promise (Review). Int J onco 2007; 30: 233-245. Lin JK, Chen YC, Husang YT and Lin-Shian SY: J: Suppression of protein kinease C and nuclear oncogene expression as possible molecular mechanism of cancer chemoprevention by apigenin and curcumin. Cell Biochem 1997; (Suppl)28-29: 39-48. Choi EJ and Kin GW: 5-Fluorouracil combined with apigenin enhances anticancer activity through induction of apoptosis in human breast cancer MDA-MB-453 cells. Oncology reports 2009; 22: 1533-1537. Ammon HPT and Wahl MA: Pharmacology of Curcuma longa. Planta Med 1991; 57: 1-7. Vopel G, Gaisbaver M and Winker W: Phytotherapie in der Prexis: Deutscher Arzte-verlay 1990; 74. Chen HW and Huang HC: Effect of curcumin on cell cycle progression and apoptosis in vascular smooth cells. Br J Pharma col 1998; 124: 1029-1040. Martin-Cordero C, Loper-Lazaro M, Galvez M and Ayuso MJ: Curcumin as a DNA topoisomerase II poison. J Enzyme Inhib. Med Chem 2003; 18: 505-509. Khar A, Ali AM, Pardhasaradhi BV, Varalakshmi CH, Anjum R and Kumari AL: Induction of stress response renders human tumor cell lines resistant to curcumin mediated apoptosis: role of reactive oxygen intermediates. Cell Stress Chaperones 2001; 6: 368-376. Chattopadhyay I, Biswas K, Bandyopadhyay U and Banerjee RK: Turmeric and Curcumin: Biological actions and medicinal applications. Current Science 2004; 87(1): 44-53. Broadbent TA and Broadbent HS: The chemistry and pharmacology of indole-3-carbinol (indole-3-methanol) and 3-(methoxymethyl) indole [part II]. Curr Med Chem 1998; 5: 469-491. Hong C, Firestone GL and Bjeldanes LF: BCl-2 family –mediated apoptotic effects of 3,3’-diindelymethane (DIM) in human breast cancer cells. Biochem Pharmacol 2002; 63: 1085-1097. Bonnesan C, Eggleston IM and Hayes JD: Dietary indoles and isothiocynates that are generated from cruciferous vegetables can both stimulate apoptosis and confer protection against DNA damage in human colon cell lines. Cancer Res 2001; 61: 6120-6130. Chinni SR, Li Y, Upadhyay S, Koppolu PK and Sarkar FH: Indole -3- carbinol (I3C) induced cell growth inhibition, G1 cell cycle arrest and apoptosis in prostate cancer cells. Oncogene 2001; 20: 2927-2936. Aggarwal BB and Ichikawa H: Molecular Targets and Anticancer Potential of Indole-3-carbinol and its derivative. Cell Cycle 2005; 4(9): 1201-1215. Arai Y, Wantnable S, Kimira M, Shimoi K, Mochizuki R and Kinae N: Dietary intakes of flavanols, flavones and isoflavones by Japanese woman and inverse correlation between quercetin intake and plasma LDL cholesterol concentration. Nutr 2000; 130: 2243-2250. Higa S, Hirano T and Kotani MJ: Allergy Fisetin a flavanol inhibits TH2-type cytokine production by activated human basophils. Clin Immunol 2003; 111: 1299-1306. Khan N, Afaq F, Sayed DN and Mukhtal H: Fisetin, a novel dietary flavonoid, causes apoptosis and cell cycle arrest in human prostate cancer LMCaP cells. Carcinogenesis 2008; 29: 1049-1056. Pei-Ming Y, Ho-heing T, Chin-ween P, Wen-shu C and Shu-Jun C: Dietary flavonoid fisetin targets caspase-3-deficient human breast cancer MCF-7 cells by induction of caspase-7- associated apoptosis and inhibition of autophagy. 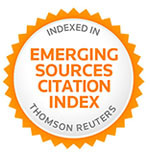 International Journal of Oncology 2012; 40: 469-478. 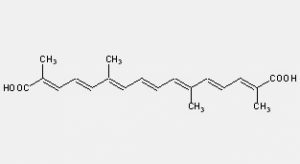 Miodini P, Fioravanti L, Di Fronzo G and Copelleti V: The two phyto-oestrogens genistein and quercetin exert different effects on estrogen receptor function. Br J Cancer 1999; 80: 1150-1155. Shen F and Weber G: Anticancer therapeutic potential of soy isoflavone, Genistein. Oncol Res 1997; 9: 597-602. Shao ZM, Alpaugh ML, Fontana JA and Barsky SH: Genistein’s “ER – dependent and independent” actions are mediated through Er pathways in Er-positive breast carcinoma cell lines. Anticancer Res 2000; 20: 2409-2416. Kanallis C, Tarantilis P and Pappas C: An overview of structural features of DNA and RNA complexes with saffron compounds: models and antioxidant activity. J Phytochem Photobiol B 2009; 95: 204-212. Lee I, Lee J and Baek N: Antihyperlipidemic effect of crocin isolated from the fructus of Gardenia jasminoides and its metabolic crocetin. Biol Pharm Bull 2005; 28: 2106-2110. Cia J, Yi FF and Bian ZY: Crocetin protects against cardiac hypertrophy by blocking MEK –ERK 1/2signalling pathway. J Cell Mol Med 2009; 13: 909-925. Zhong YJ, Shi F and Zheng XL: Crocetin induces cytotoxicity and enhances vincristine – induce cancer cell death via p53 – dependent and independent mechanisms. Acta pharmacol Sin 2011; 32: 1529-1536. Amin A, Hamza AA and Bajbonj K: Saffron: a potential candidate for a novel anticancer drug against hepatocellular carcinoma. Hepatology 2011; 54: 857-867. Cia-Van L, Wen-Feng H, Qun-Li W, Fan W, Cai E, Bing H, Jia-Cheng D, Jing W, Rong C, Xiao-Jing C, Jing F and Hui-Hui L: Crocetin induces cytotoxicity in colon cancer cells via p53 – independent mechanisms. Asian pacific J Cancer Prev 2012; 13: 3757-3761. Niciforovic A, Adzic M, Zabric B and Radojic MB: Adjuvant antiproliferative and cytotoxic effects of aloin in irradiated HeLaS3 cells. Bio Phys Chem 2007; 81: 1463-1466. Esmast AY, Tomasetto C and Rio MC: Cytotoxicity of a natural anthraquinone (aloin) against human breast cancer cell lines with and without ErbB-2 topoisomerase Iiα coamplification. Cancer Biol Ther 2006; 5: 97-103. Harlev E, Nevo E, Ofir R and Anupam B: Anticancer potential of Aloes: Antioxidant, anti-proliferation and Immunostimulatory attributes. Plan Med 2012; 78: 843-52. Xiao XY, Hao M and Yang XY: Licochalcone A inhibits growth of gastric cancer cells by arresting cell cycle progression and inducing apoptosis. Cancer Letters 2011; 302(1): 69-75. Yo YY, Shieh GS, Hsu KF, Wu CL and Shiau AL: Licorice and licochalcone- a induce autophagyinln cap prostatecancercellsbysuppressionofbcl-2expressionand the mtorpathway. Journal of Agricultural and Food Chemistry 2009; 57(18): 8266-8273. Kim JK, Shin EK, Park JH, Kim YH and Park JHY: Antitumor and antimetastatic effects of licochalcone A inmousemodels. Journal of Molecular Medicine 2010; 88(8): 829-838. Agarwal N, Majee C and Chakraborthy GS: Natural herbs as anticancer drugs. 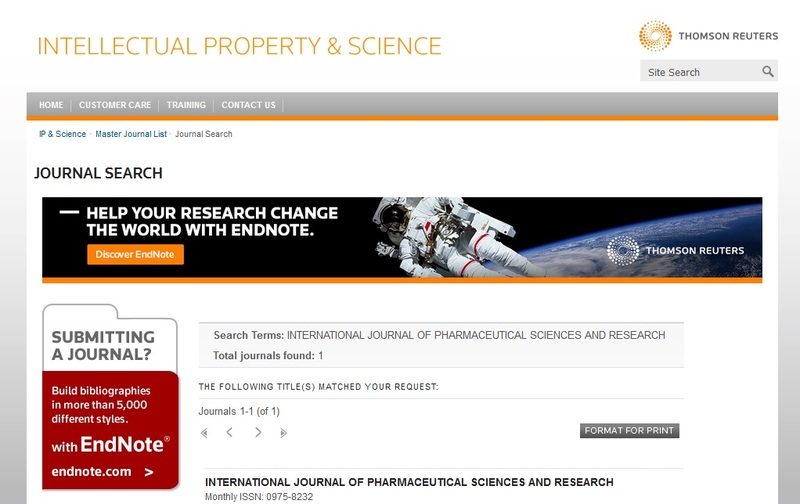 International Journal of Pharm Tech Research 2012; 4(3): 1142-1153. Lee CK, Son SH and Parketal KK: Licochalcone A inhibits the growth of colon carcinoma and attenuates cisplatin-induced toxicity without a loss of chemotherapeutic efficacy in mice. Basic and Clinical Pharmacology and Toxicology 2008; 103(1): 48-54. Xuan Y, Defang L, Hong Z, Jiangtao J, Penglong W, Xiaoyi M, Xiling S and Qiusheng Z: Licochalcone A-Induced Human Bladder Cancer T24 Cells Apoptosis Triggered by Mitochondria Dysfunction and Endoplasmic Reticulum Stress. Bio Med Research International 2013; Article ID 474272. Mehrotra S, Mishra KP, Maurya R, Srimal RC and Singh VK: Anticellular and immune suppressive properties of ethanolic extract of Acorus calamus rhizome. Int Immunopharacol 2003; 3: 53-61. Rana AYKMM, Khanam JA and Asad-Ud-Daula M: Antineoplastic screening of some medicinal plants againstEhrlich ascites carcinoma in mice. J Med Sci 2004; 4: 142-145. Pandy V, Jose N and Subhash H: CNS activity of methanol and acetone extracts of Acorus calamus leaves in mice. J Pharmacol Toxicol 2009; 4: 79-86. Joseph B and Raj SJ: Pharmacognostic and phytochemical properties of Aleo vera Linn: an overview. Int J Pharmaceut Sci Rev Res 2010; 4: 106-110. Akev N, Turkay G, Can A, Gurel A and Yildiz F: Tumour preventive effect of Aloe vera leaf pulp lectin (Aloctin I) on Ehrlich ascites tumours in mice. Thytother Res 2007; 21: 1070-1075. Choi S and Chung MH: A review on the relationship between Aloe vera components and their biologic effects. Semin. Integr Med 2003; 1: 53-62. Bopana, P and Saxena S: Asparagus racemosus- Ethnopharmacological evaluation and conservation needs. J Ethanopharmacol 2007; 110: 1-15. Diwanay S, Chitre D and Patwardhan B: Immunoprotection by botanical drugs in cancer chemotherapy. J Ethanopharmancol 2005; 90: 49-55. Davies KM, Seelye JF, Irving DE, Borst WM, Hurst PL and King GA: Sugar regulation of harvest-related genes in asparagus. Plant Physiol 1996; 111: 877-883. Kikuzaki H and Nakatani N: Antioxidant effects of some ginger constituents. J Food Sci 1993; 58: 1407-1410. Lopez FA and Casado S: Heart failure, redox alterations and endothelial dysfunction. Hypertension 2001; 38: 1400-1405. Galati G and O’Brien PJ: Potential toxicity of flavonoids and other dietary Phenolics: Significance for their chemo preventive and anticancer properties. Free Radical Biol. Med 2004; 37: 287-303. Zhang J, Qi H and Wu C: Research of anti-proliferation of curcumin on A549 human lung cancer cells and its mechanism. Zhong Yao Cai 2004; 27: 923-927. Srivastava KC, Bordia A and Verma SK: Curcumin, a major component of food spice turmeric (Curcuma longa) inhibits aggregation and alters eicosanoid metabolism in humanblood platelets. Prostaglandins Leukotrienes essent. Fatty Acid 1995; 52: 223-227. Mahady GB, Pendland SL, Yun G and Lu ZZ: Turmeric (Curcuma longa) and curcumin inhibit the growth of Helicobacter pylori, of group 1 carcinogen. Anticancer Res 2002; 22: 4179-4181. Cheng AL, Hsu CH, Lin JK, Hsu MM and Ho YF: Phase I clinical trial of curcumin, a chemopreventive agent, in patients with high risk or pre malignant lesions. Anticancer Res 2001; 21: 2895-2900. Kumar A: Chemical characterization of essential oil from the rhizomes of Kaemperia rotunda L. by GC/MS technique. International Journal of Pharma and Bio Sciences 2014; 5(4): 458-462. Atun S and Arianingrum R: Anticancer activity of bioactive compounds from Kaempferia rotunda rhizomes against human breast cancer. International Journal of Pharmacognosy and Phytochemical Research 2015; 7(2): 262-269. Bisht VK, Negi JS, Bhandari AK and Sundriyal RC: Anti-cancerous plants of Uttarakhand Himalaya: A review. International Journal of Cancer Research 2011; 7(3): 192-208. Ranga RS, Sowmyalakshmi S, Burikhanov R, Akbarsha MA and Chendil D: A herbal medicine for the treatment of lung cancer. Mol. Cell Biochem 2005; 280: 125- 133. 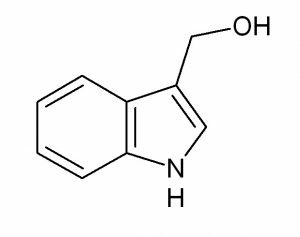 Prashar R, Kumar A, Hewer A, Cole KJ, Davis W and Phillips DH: Inhibition by an extract of Ocium sanctum of DNA-binding activity of 7,12-dimethylbenzene[a] anthracene in rat hepatocytes in-vitro. Cancer Lett 1998; 128: 155-160. Manikandan P, Letchoumy PV, Pratibha D and Nagini S: Proliferation, angiogenesis and apoptosis-associated protiens are molecular targets for chemoprevention of MNNG-induced gastric carcinogenesis by ethanolic Ocimum sanctum leaf extract. Singapore Med J 2007; 48: 645-651. Singh V, Amdekar S and Verma O: Ocimum tanuiflorum (Tulsi): Bio-pharmacological activities. Pharmacology 2010a; 1(10). Kumar R, Joy KL, Kuttan G, Ramsewak RS, Nair MG and Kuttan R: Antitumor and anticarcinogenic activity of Phyllanthus amarus extract. J Ethnopharmacol 2002; 87: 17-22. Unandr DW, Grady LW and Blumberg BS: Usage and bioassays in Phyllanthus (Euphorbiaceae). IV. Clustering of antiviral uses and other effects. Ethnopharmacology 1995; 45: 1-8. Leng J, Han C, Demetris AJ, Michaloppoulos GK and Wu T: Cyclooxygenase-2 promotes hepatocellular carcinoma cell growth through Akt activation: Evidence for AKT inhibition in celecoxib-induced apoptosis. Heptology 2003; 38: 756-768. Jo B, Sandhya CP and Remitha KR: Comparison and bioevaluation of Piper longum fruits extracts. J Chem Pharma Sci Rev Res 2010; 4: 106-110. Sunila ES and Kuttan G: Piper longum inhibits VEGF and proinflammatory cytokines and tumor-induced angiogenesis in C57BL/6 mice. Int Immunopharmacol 2006; 6: 733-741. Adwankar MK and Chitinis MP: In-vivo anticancer activity of RC-18: A plant isolate from Rubia cordifolia Linn. Against a spectrum of experimental tumor model. Chemotherapy 1982; 28: 291-293. Wakita K, Minami M, Venkateswarlu A, Sharma VM, Ramesh M and Akahane K: Antitumor bicyclic heaxapeptide RA-VII modulates cyclin D1 protien level. Anticancer Drugs 2001; 12: 433-439. Kinghorn AD, Farnsworth NR, Soejarto DD, Cordell GA and Pezzuto JM: Novel strategies for the discovery of plant derived anticancer agents. Pure Applied Chem 1999; 71: 1611-1618. Sakarkar DM and Deshmukh VN: Ethnopharmacological review of traditional medicinal plants for anticancer activity. Int J Pharm Tech Res 2011; 3: 298-308. Pettit GR, Hoard MS, Doubek DL, Schmidt JM, Pettit RK, Tackett LP and Chapuis JC: Antineoplastic agents 338. The cancer cell growth inhibitory. Constituents of Terminalia arjuna (Combretaceae). J Ethanopharmacol 1996; 53: 57-63. Kuo PL, Hsu YL, Lin TC, Lin LT, Chang JK and Lin CC: Casuarinin from the bark of Terminalia arjuna induces apoptosis and cell cycle arrest in human breast adenocarcinoma MCF-7 cells. Planta Med 2005; 71: 237-243. Chauhan K: Successful treatment of throat cancer with Ayurvedic drugs. Suchitra Ayurveda 1995; 47: 840-842. Leyon PV and Kutton G: Effect of Tinospora cordifolia on the cytokine profile of angiogenesis- induced animals. Int Immunopharmacol 2004; 4: 1569-1575. Singh N, Singh SM and Srivastava P: Effect of Tinospora cordifolia on the antitumor activity of tumor-associated macrophages derived dendritic cells. Immunopharmacol Immunotoxicol 2005; 27: 1-14. Prabhu A and Krishnamoorthy M: Anticancer activity of Trigonela foenum- gracum on Ehrlich ascites carcinoma in mus masculus system. J Pharm Res 2010; 3: 1183-1186. Amin A, Alkabi A, Alfalasi S and Daoud SA: Chemopreventive activities of Trigonela foenum- gracum (fenugreek) against breast cancer. Cell Biol Int 2005; 29: 687-694. Singh G, Sharma PK, Dudhe R and Singh S: Biological activities of Withania somnifera. Ann Biol Res 2010b; 1: 56-63. Mathur R, Gupta SK, Singh N, Mathur S, Kochupillai V and Velpandian T: Evaluation of the effect of Withania somnifera root extracts on cell cycle and angiogenesis. J Ethnopharmacol 2006; 105: 336-341. Wattenberg LW, Coccia JB and Lam LKT: Inhibitory effects of phenolic compounds on benzo (a pyrine) induced new plasia. Cancer Res 1980; 40: 2820-2823. 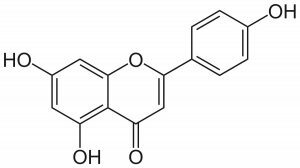 Saklani S, Kawra M and Parcha V: Herbal-derived anticancer phytoconstituents: Tradition to molecular mechanisms. Int J Pharm Sci & Res 2019; 10(4): 1632-39. doi: 10.13040/IJPSR.0975-8232.10(4).1632-39. Authors Address: Department of Pharmaceutical Chemistry, Hemwati Nandan Bahuguna Garhwal University Chauras Campus Srinagar, Garhwal, Uttarakhand, India.